The Wagner Free Institute of Science was opened to the public in 1865. The building was constructed to house the natural history collections and library of William Wagner. Wagner believed strongly that education in the sciences should be available to everyone. The lecture hall was used by his faculty to present lectures on botany, chemistry, paleontology and architecture. College level lecture series in the natural sciences are still being presented there. 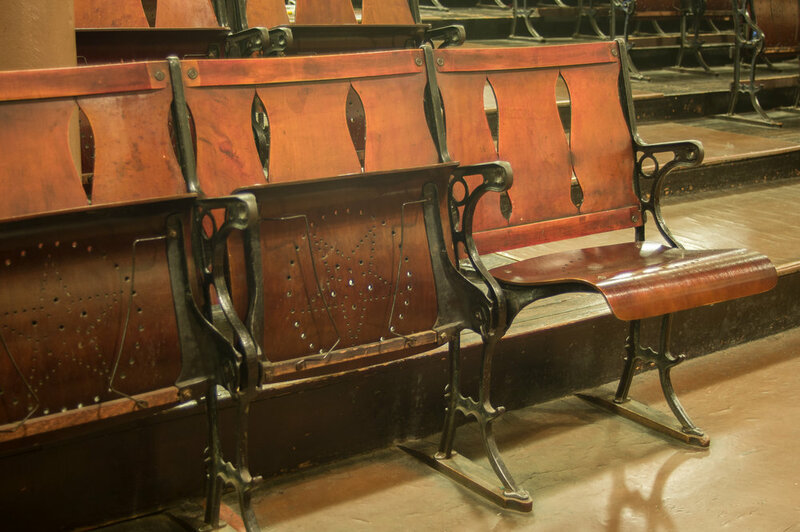 After 135+ years of use, most of the wood auditorium seats were in need of repair, some seats needed to be replaced. The seats have a bent laminated plywood structure with a pierced decorative star and circle design. Over 400 seats were repaired and approximately 95 seats were replaced. The replacement seat bottoms were fabricated by creating a curved form based on the original seats and then thin layers of wood were laminated together and shaped in a vacuum press system. After final shaping and drilling of the star pattern, the new seats were toned to match the originals and installed into the cast iron frames.